I am writing to you to nominate Hassanal Abdullah to be the next Poet Laureate of Queens, succeeding Hal Sirowitz. My reasons for nominating HassanAl are many. First, I would like to say that he is a serious poet, not a poetaster. Many people who write poetry or what they call poetry (which is more likely verse) stems from a sudden urge, a moment in their lives when they feel the need to express in rhythmic words and patterns some new feeling or thought or because of a unique story that poetry and fame are connected. Before Ginsberg got a million dollars for his archives, a poet (in America) was considered to be some kind of fool (I suppress a more offensive term for this letter). Why? Because a poet in America doesn't make money, nor is it the purpose of a true poet to pursue payment in coin for his efforts. I believe that a true poet is cursed; he has no choice but to write because he must. This is not the result of an epiphany but being nearly from birth one who must record what is outside himself in a coincidence with what is inside himself nearly every waking moment of his life. Hassanal is a true poet, one who has been committed to writing from boyhood on, every waking moment of his very busy life. 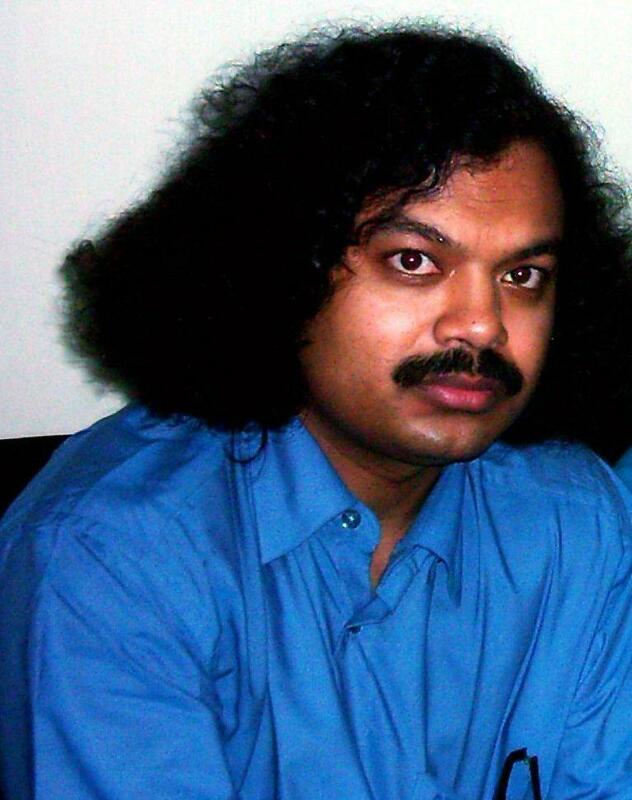 A second reason is Hassanal's activities as a translator (from and into Bengali), as an editor of a magazine, Shabdaguchha, which provides an outlet in print and public readings for poets from Bangladesh and from all parts of the world. Thus, Hassanal is not content to just write his own poetry, but pursues presenting other poets of his land and poets from many lands and many languages. He actively seeks their interaction, and the result is an extraordinary sharing of the profoundest thoughts and feelings that are embedded in the rich and varied world we live in. Which brings me to the third reason. I don't believe that a Poet Laureate of Queens should be so limited, so provincially, so narrowly defined as perhaps one who was born and grew up in and solely nurtured by the geography and human contact in Queens only. Queens is now a borough with almost 200 different cultures represented within its confines. People from all over the world have come here, yes to New York/America and to Queens, New York City, to live and work and create. Greeks, Koreans, Chinese, Russians, and Bengalis are among them. Poets from Bangladesh are among them. Bangladesh is a country not very clearly on everyone's radar screen. Most people don't even know if it's in Europe or Africa or Asia. But it is a country with 125 million people. And 300,000 of them live in New York City; and 100,000 of those in Queens. I think a Poet Laureate of Queens should represent its population. Thus far, Stephen Stephanchev, a Yugoslav who has lived in America for many, many years was an admirable first choice. Hal Sirowitz, a quintessential poet of Queens was the last. It is time again, I think, to have an immigrant poet, one who would admirably represent all Immigrants, all Immigrant poets, and by extension, all creative people recently come to live in Queens/New York City/America. Hassanal Abdullah, a teacher in the New York City schools, a poet and editor and translator and publisher and presenter of poets, is in my considered opinion (as a publisher of some 50 different languages and cultures in over 350 titles to date), a part of the collective, creative cauldron that is Queens. He can only significantly contribute to the honor of this award by being a symbol of the New Immigrant Poet who reaches out across the ocean, builds bridges with his words of love and harmony and compassion for all peoples. For Hassan is also a secular Muslim (though her prefers to consider himself simply "a human being") who is against the terrorists who are seeking to destroy all that is good and true and beautiful in Civilization. Surely, if he becomes the next Poet Laureate of Queens he can only contribute even more with the fineness of his creative humanistic work and his message about people living in peace, mutual respect, and harmony.